Wow. Half term already. Now if I was working full time I’m quite sure I’d be saying things like “Wow that was a long one, so glad it’s the holidays” but without my school head on I can safely say that Autumn 1 appears to have absolutely flown by! I can’t believe my little man has been in full time school for half a term already. As I expected of him he quickly settled into his new routine and although he would come home from school tired and stroppy to start with we got past that without too much fuss and he’s now generally in a much better mood at the end of the day. I think it helps that I expect very little of him! He doesn’t often say much about his day – and I tried to avoid questioning him as I know I’m not going to get much joy. If he wants to share something it will come out eventually! 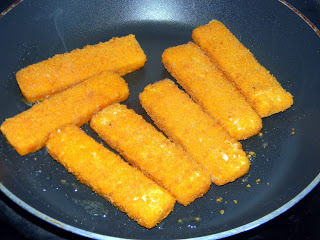 The only thing I ask as a matter of course is what he has had for lunch and the answer is more often than not fish fingers. I really hope he isn’t eating fish fingers quite as often as he says he is and that actually he just can’t be bothered to tell me otherwise but at least I know he’s getting a warm meal inside him. He did tell me last week that he had gone for seconds and he does seem to be enjoying his dinners. At Parents Evening his teacher expressed concerns over some “silly behaviour” – not lining up properly, not listening on the carpet and rushing through his jobs to get to choose quickly. Which in fairness I think makes him a pretty typical 4 year old boy however I’ve spoken to him and explained that he needs to “line up like a soldier” and that he must show his teacher he’s listening by looking at her and not chatting – this has clearly sunk in as several times this week he has politely asked me to look at him while he’s talking to me!! I was pleased that by the end of the week his teacher did say his behaviour had been better and he has promised me he will try to be that good all the time. I explained that he must have been listening more than he was showing because of all the number and phonic work he is regurgitating at home! 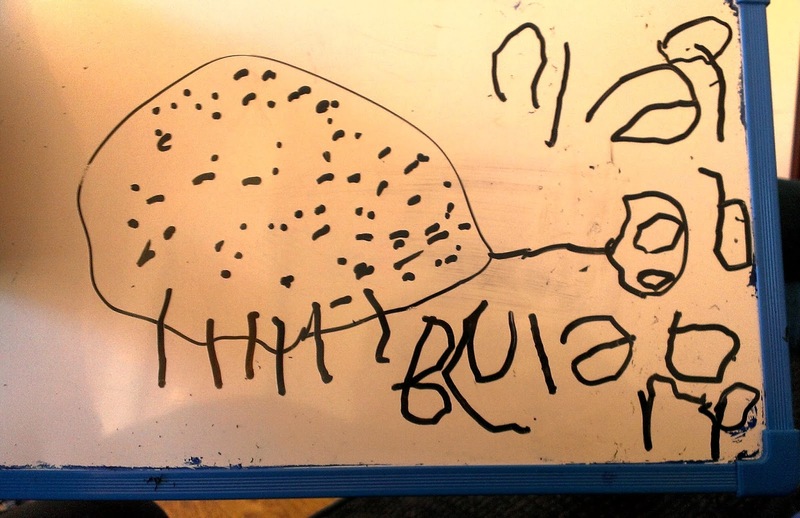 In terms of his learning there’s lots of talk about numbers – he has always been interested in numbers but now we randomly get “5 and 5 makes 10 doesn’t it Mummy?” or “6 is one less than 7 isn’t it?”, he points out numbers and addition symbols when he spots them out and about. While he was eating his tea with his best mate the other day they were apparently counting out all their chocolate buttons to see who had more and then eating one to see how many they had left. 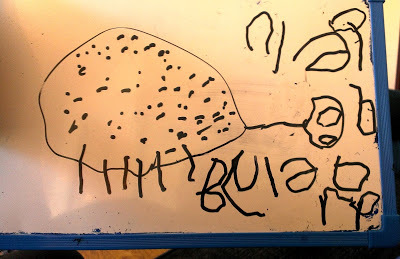 What has really surprised me though is a sudden interest in letters in sounds – hearing them, reading them and even writing them! 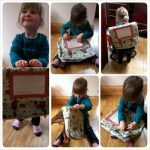 He loves reading his school books to us at home – though this is something we have totally failed to get into a routine with and really must work at after half term. He sounds out the words but doesn’t always blend them or recognise the spaces between words. I’m really impressed with his segmenting and he tells me he uses “robot arms” at school which he demonstrated to Daddy. 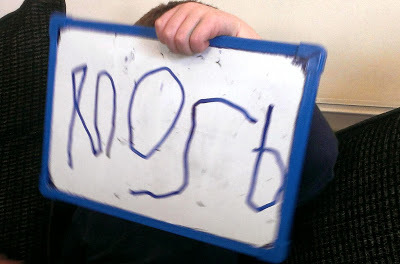 This says “monster” – Ben sounded it all out and wrote it independently – Mummy was very impressed! The letters at the bottom say “ladybird” – again written by himself! Next Post Is the NHS on your side? I think he's doing brilliantly, you must be so proud! Love the ladybird! He really does sound like most 4/5 year old boys in reception class. My daughter is also in reception. Ahhh bless – I wish him luck! I can't believe it was the half term already, it feels like the kids only just went back to school, and I don't even have one in school yet! It really does sound like your little one has settled in so well. It sounds like he is doing an amazing job with his letters and numbers, its so good that he is enjoying it. He sounds like he's doing wonderfully… at this stage it's all about learning the new routine/expectations, so I wouldn't worry too much. Exciting times!